Plus hirings in Alameda and at Oakland A's and victories for Ro Khanna and the memory of Oscar Grant. Rep. Barbara Lee wasted no time in selecting her choice for president, announcing Thursday her endorsement of Sen. Kamala Harris. "Watching Kamala's career in the East Bay and San Francisco for 20 years, I've witnessed her deep passion for justice and opportunity, and I know she will be a president truly of the people, by the people, and for the people," Lee said. "As just the third African-American woman from a major party to run for President, I am so proud to endorse her candidacy as she continues this fight for equality, fairness, and dignity for all Americans." Acknowledging the 1972 presidential campaign of Shirley Chisholm, the first African-American women to run for president, and a figure inspiring Harris's campaign, Lee said, "Shirley set us on a path toward progress, and now Senator Kamala Harris picks up the baton." Harris, a former Alameda County prosecutor before becoming San Francisco district attorney and later state attorney general, announced her candidacy on Jan. 27 to a throng of more than 20,000 people at a campaign kickoff in Oakland. 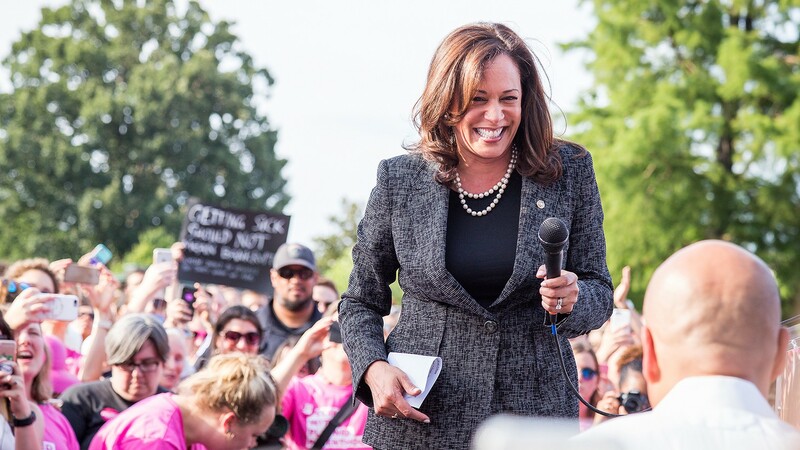 However, reaction to endorsement of the centrist Harris from Lee's deep progressive base was swift and mostly negative, characterizing the former prosecutor as a tool of law enforcement and predisposed to centrist policies. Alameda named Eric Levitt as its new city manager. Coming to Alameda with 25 years experience in municipal government, Levitt served as city manager in Simi Valley, since 2013, and previously in Sedona, Ariz. and Janesville, Wisc. Levitt's contract, to be formally approved at the Feb. 19 council meeting, calls for him to earn an annual salary of $259,000, in addition to $16,000 in relocation allowances. Levitt takes over at City Hall on April 12. Two years ago, when Rep. Ro Khanna took up the cause of the ongoing and brutal Saudi-led war in Yemen, it was hardly a blip on the radar of anyone other than the most ardent of foreign-policy experts. But led by Khanna, who represents parts of the East Bay and South Bay, last week the House of Representatives passed a resolution calling for the U.S. to withdraw military aid to Saudi-led war in Yemen. Approval of the resolution also represents a stern rebuke by the House of President Trump's support for the Saudi monarchy. The vote was 248-177. Passage of the resolution is the most consequential achievement of Khanna's young congressional career, and united not just House Democrats, but 18 war-weary Republicans. "Today is historic," Khanna said. "This is the culmination of several years of legislative efforts to end our involvement in the Saudi war in Yemen. I'm encouraged by the direction people are pushing our party to take on foreign policy, promoting restraint and human rights and with the sense they want Congress to play a much larger role." BART's Board of Directors unanimously named a road near Fruitvale station after Oscar Grant, who was killed on the platform at Fruitvale by a BART police officer. The roadway between 33rd and 35th avenues in Oakland is now "Oscar Grant Way." The naming of the road had been championed by former Oakland Councilmember Desley Brooks. Bay Area artists cleaned up at the 2019 Grammys. Twenty-one-year-old Vallejo R&B sensation Gabriella "Gabi" Wilson — known by her stage name H.E.R. — won Best R&B album and performance. Oakland's Xavier Dphrepaulezz — better known as Fantastic Negrito — won his second Grammy for Best Contemporary Blues Album. And Oakland's legendary High on Fire took home the Victrola for Best Metal Performance for its album Electric Messiah. Composer Mason Bates, sound engineer Shawn Murphy, and, of course, the Kronos Quartet, also took home prizes. Heisman Trophy winner Kyler Murray is forsaking baseball for a chance to play quarterback in the NFL, which he described as his first love. The announcement apparently blindsided executives with the Oakland A's, who had used their first draft pick on Murray and were still hoping that he would report for practice later this month. Meanwhile, the A's resigned pitcher Brett Anderson, and former A's catcher Stephen Vogt is going to the San Francisco Giants, his favorite childhood team. Longer versions of several of these stories originally appeared at EBCitizen.com.